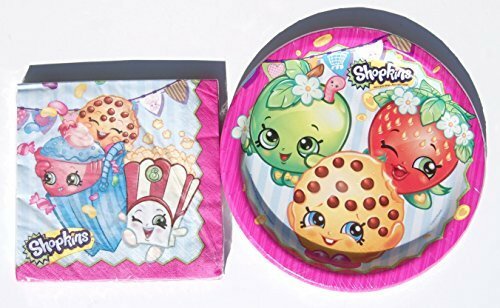 Showcase party foods in adorable style using this delicious Shopkins Plastic Tablecloth. 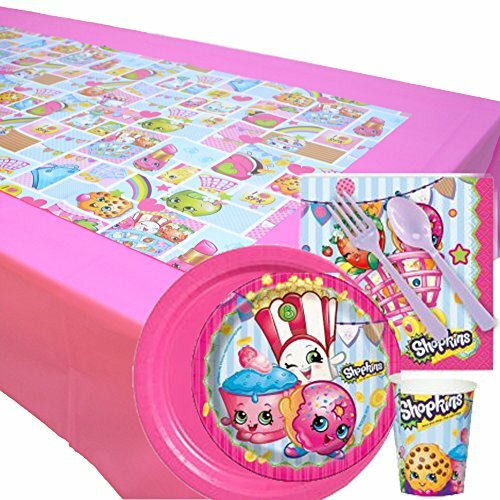 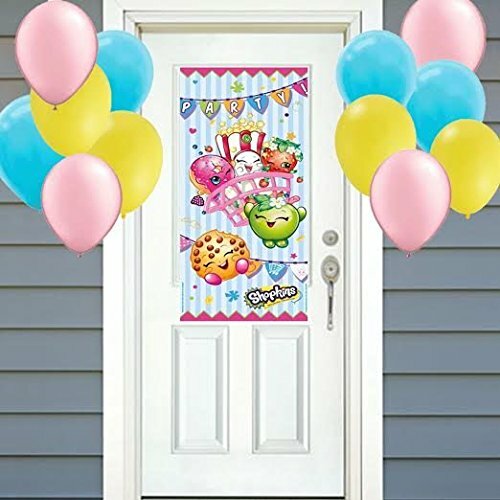 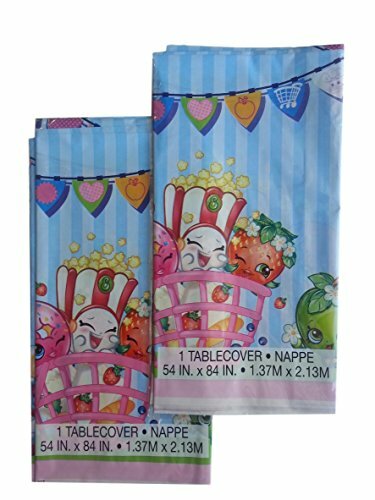 Decorated with assorted smiling Shopkins, this plastic table cover will bring extra color and charm to any child’s Shopkins birthday party. 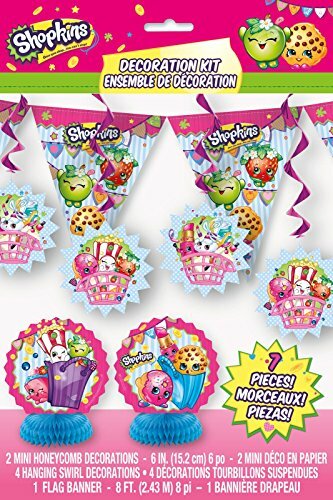 Create 12 Beautiful Shopkins inspired party favor bags. 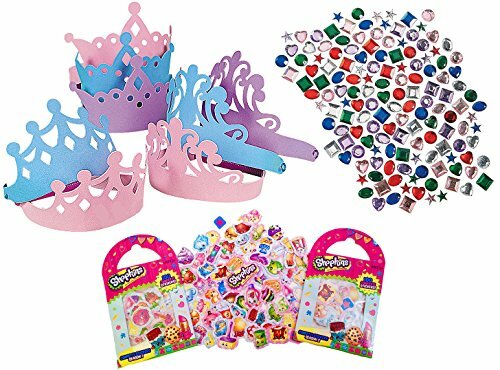 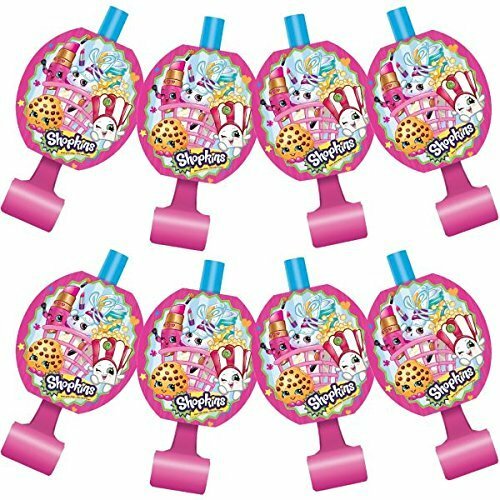 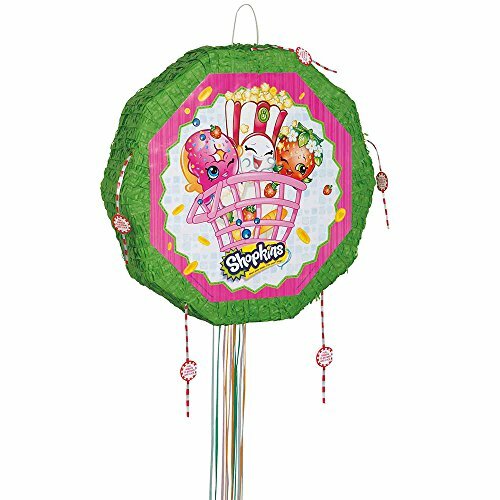 Shopkins Decorating Kit includes 7 pieces: (2) – 6″ mini honeycomb decorations, (4) hanging swirl decorations, and (1) – 8′ flag banner. 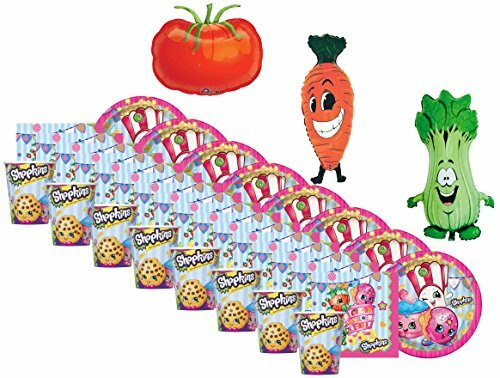 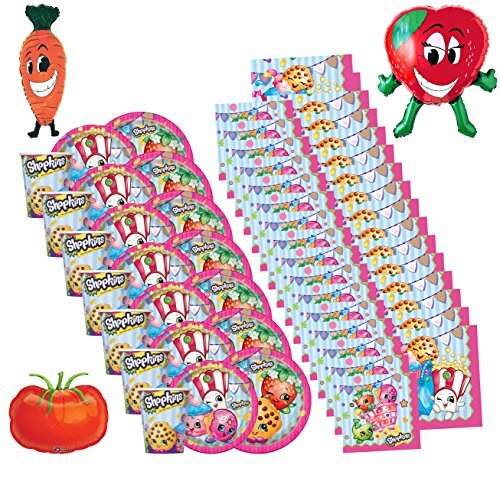 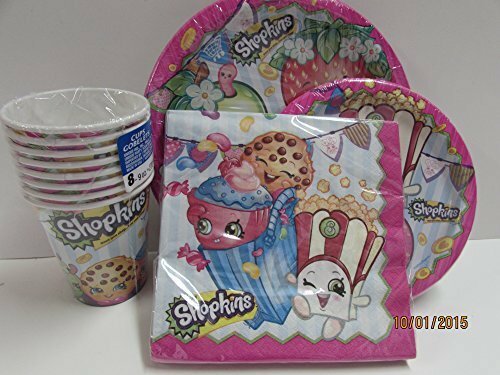 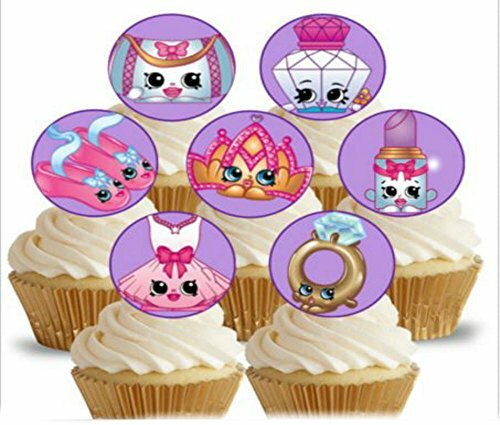 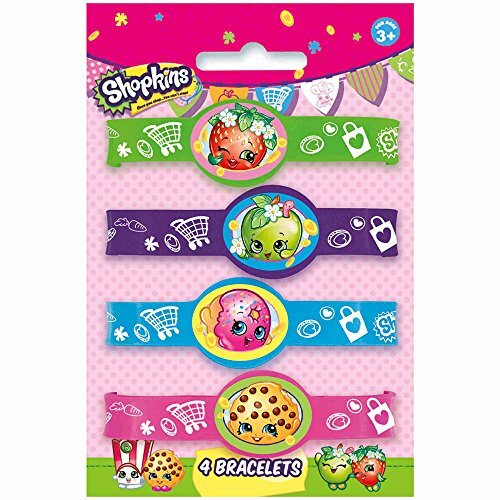 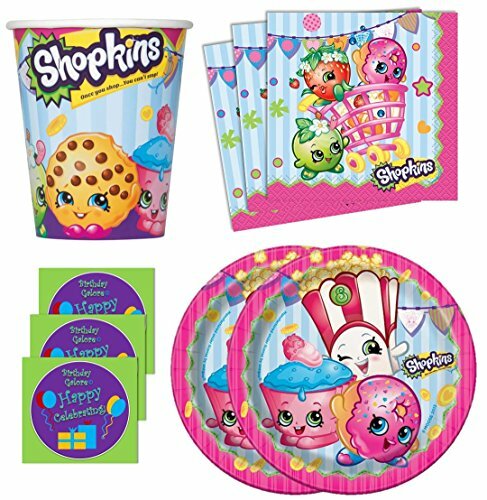 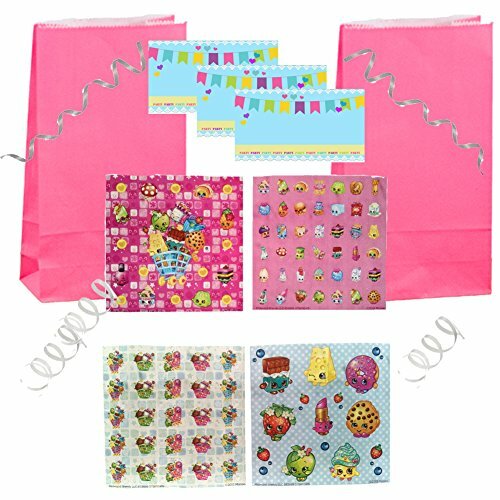 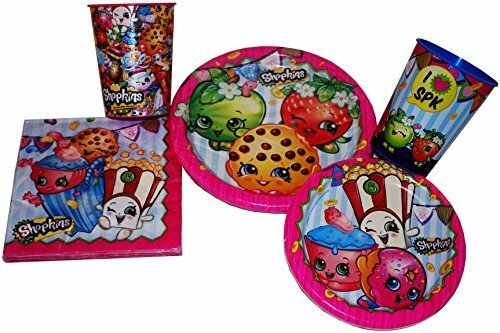 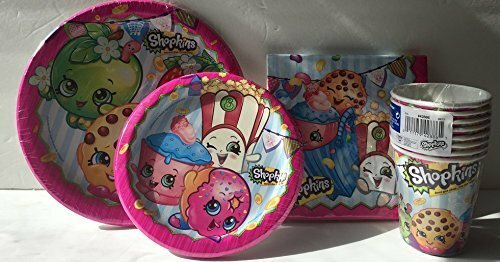 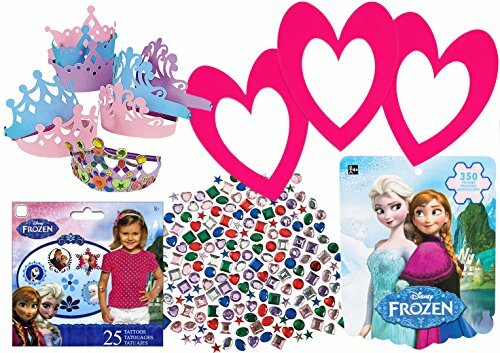 This Shopkins party supply kit includes 16 2-ply napkins and one set of eight 8.6″ plates.